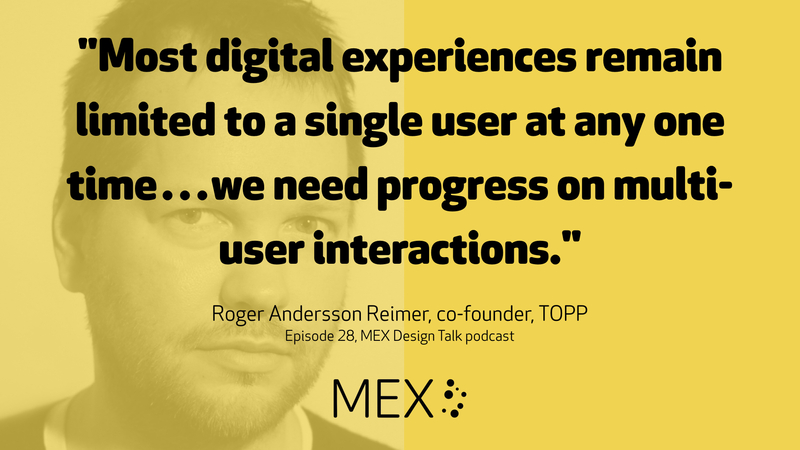 Roger Andersson Reimer, co-founder and UX Director of Swedish design agency TOPP, talks to Marek Pawlowski, founder of MEX, about multi-touchpoint experience design. 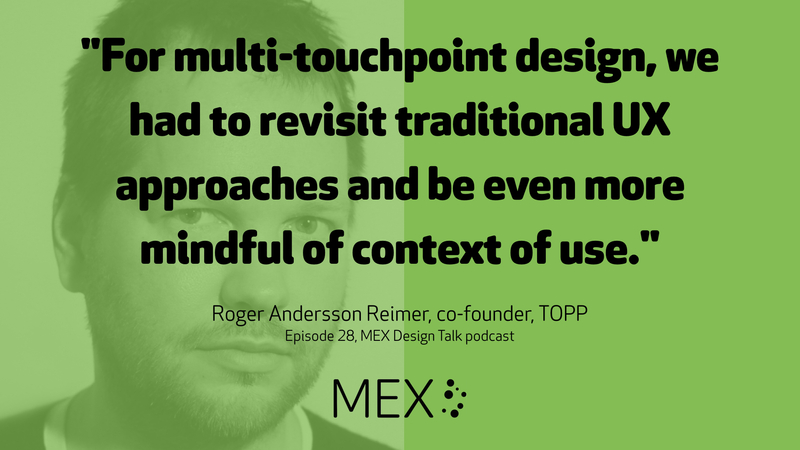 The discussion includes TOPP’s emergence from the history of TAT and Blackberry, their work on wearables for Samsung and Pins Collective, design tools for next generation distributed experiences and the roots of Roger’s design education. Patrizia Bertini, co-host, & Senior Strategy Consultant, Lithium (@legoviews) returns in future shows. 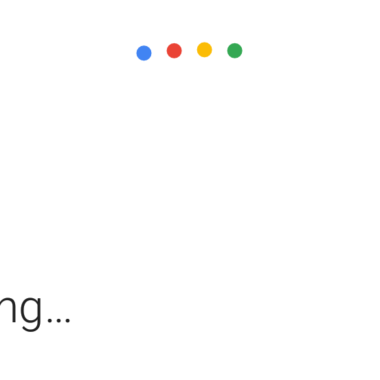 Alex Guest, co-host & CEO of Zingy.life (@alexguest) returns in future shows.